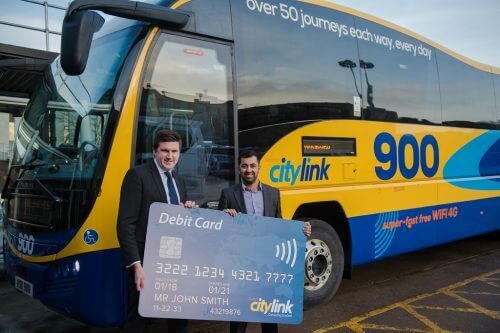 Scottish Citylink has introduced contactless payments across its network of coach services. Scottish Citylink is a joint venture between Stagecoach Group and ComfortDelGro – and the technology has been launched as part of a £12m Stagecoach programme to allow passengers across the UK to pay for their travel using a contactless credit or debit card, as well as through Apple Pay and Android Pay. Scottish Citylink Operations Director, Peter Knight, said: “We are now the first national coach provider to have contactless payments available across all of our fleet. This is great news for passengers who want to be able to turn up and pay quickly and easily.